Give your project RFID and NFC capabilities! 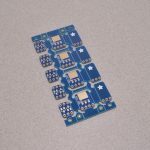 This breakout board works with any 13.56MHz RFID or NFC application. 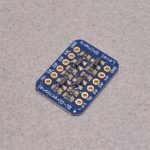 The board uses the PN532 chip which is found in most phones and other NFC devices and will read and write to tags and cards within 10cm (4 inches). 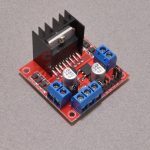 The PN532 is also very flexible, you can use 3.3V TTL UART at any baud rate, I2C or SPI to communicate with it. 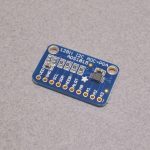 This chip is also strongly supported by libnfc, simply plug in an FTDI cable and use the FTDI serial port device to communicate – this lets you do NFC dev using any Linux/Mac/Windows computer! 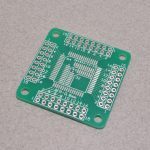 Includes: the PN532 breakout board including a tuned 13.56MHz stripline antenna, 0.1″ header, 2 jumpers/shunts, a 4050 level shifter chip and a Mifare Classic 1K card! SKU: BOB-030. Categories: Breakout Boards, NFC / RFID. Tags: Adafruit, Breakout, Light Packet, NFC, RFID.